In the era of smartphone, sudden data breach incidences are prevalent. If a proper balance is not maintained in between the risk avoidance and user accessibility, cloud security gets compromised. Really, for the owner of an enterprise, it is the toughest challenge to prevent business from failing due to Cyberthreats. Being a Microsoft customer, question arises in mind that how the brand secure Office 365 tenants and keeps its promise of holding data privacy. Answer to this question is rendered in this post so as to ensure readers that they are working with one of the best cloud service providers. How Office 365 Security Is Different From Others? Data Encryption At Rest And Transmit Mode – Independent from the fact whether customer’s data is in the rest mode or transmit state, Microsoft keeps their record encrypted all the time. Its security intelligence system automatically encrypts information from understandable content to non-understandable one. This means that only an authentic individual having deciphered key will be able to read-out and understand the content, which is non-understandable for others. Disks enclosed with BitLocker encryption, IRM on Document Libraries, SSL over HTTP, etc., are some of the few encryption methods adopted by Microsoft to secure Office 365 data. It gives assurance that none of the hackers will be able to keep their eyes on customer’s business confidential records. Office 365 Physical Servers Tight Security – Microsoft does not leak the storage location of its data centers either on the web or anywhere else. It operates 10-100 data centers, located worldwide. Being a customer, you can realize that Microsoft is not revealing the storage location where it saves the records. Talking about the workers in data centers, a team of cloud security experts is hired by Microsoft. It permits only the authentic security officer to enter into the data center, restricting an unknown entity from going inside. Strong Password and Multi-factor Authentication – In today’s digital age, identity management process is essential to achieve in a cloud-based system. It proves that you are the authentic person to work with the business or personal email account. To secure Office 365, Microsoft ensures that users are working with strong tenant password. This reduces the chance of password leakage on simple brute force attacks. In addition to this, an additional layer can be added to protect O365 account by enforcing MFA. Restrict Data Usage for Advertisement Purpose – With the aim of advertisement, the method you and your users work on the environment is not mined in Office 365. Though there are chances that social media platforms use this information with the target of advertisement, nothing will be breached. Microsoft has acquired a safe measure to secure Office 365 tenant, making sure that not even a single content gets leaked. Don’t Take Away Data If Subscription is Over – Even if a situation occurs where you are unable to renew your subscription plan or want to stop it then also, your data is safe. Microsoft provides its clients a particular time duration to take away all their data from closed subscription. By default, this time is of 90 days when Office 365 tenant customers can export their data after the expiration of subscription plan. Microsoft Is Not Always Responsible! 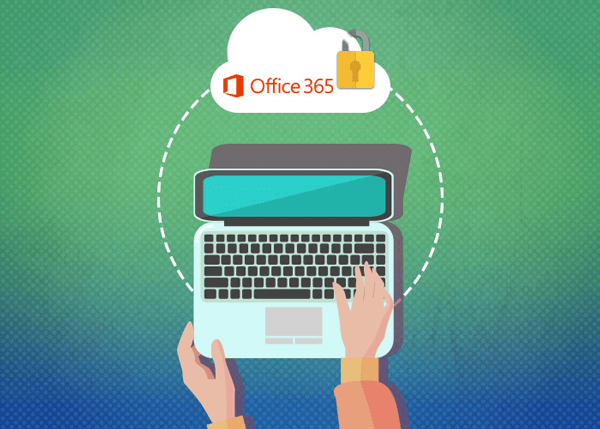 Microsoft inbuilt security features are not capable enough to protect Office 365 tenant, until and unless its consumers are not taking online information security as a serious concern. People have to append an additional layer of security either from their own end or by adopting third-party security providers. Since the cyberattacks are increasing day-by-day, it is better to go for security-as-a-service (SaaS) vendors. This enables organizations to secure themselves from internal as well as external threats along with their business development. © Copyright 2019 CloudCodes. All Rights Reserved.